“Am I stressed? 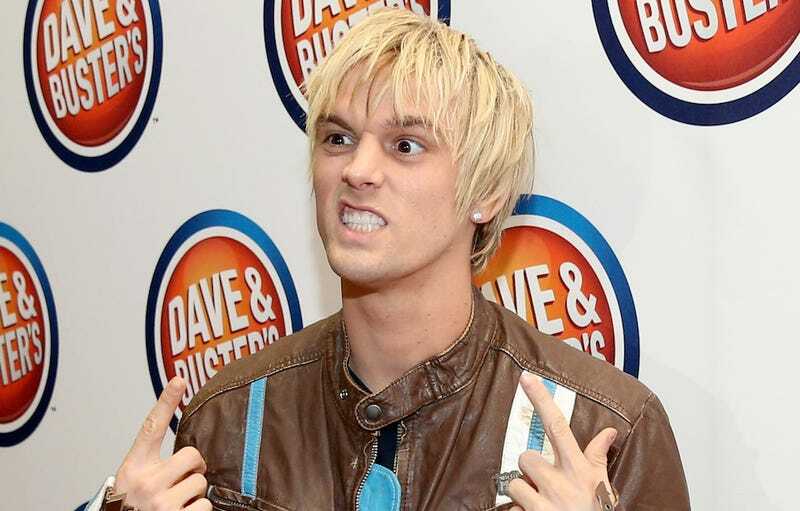 Hell yeah I’m stressed,” 28-year-old Floridian and Hilary Duff castoff Aaron Carter told GQ this weekend about his recent Trump endorsement, which apparently did not go as planned. Everyone thought I was broke, but I actually haven’t been broke. There have been a lot of things people don’t understand about my story. So I kind of just find myself being able to relate. I like what he’s doing for taxes for the people. And I like what he’s focused on. Like, let’s worry about our deficit right now. And about our country. And about how we can actually make it great again. He’s proving that sometimes you have to file for bankruptcy and rebuild. I can relate. I’ve been through it. They scatter. They scatter. Or, they try to stand their ground and it doesn’t work out for them, especially when they have like 14 followers.